NAWBO National is partnering with an organization called American Corporate Partners (ACP), which is a non-profit organization that provides career transition support to military service members who are leaving the military, primarily through matching them with mentors in corporate America. 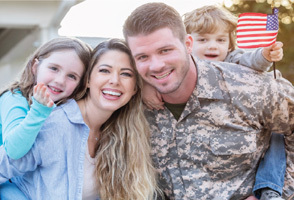 ACP is launching a new program in January to help military spouses (mostly women), and many of the spouses have expressed interest in starting their own businesses. They are looking for NAWBO members who would be interested in mentoring one of these entrepreneurial-minded military spouses. As part of this partnership, NAWBO National will also waive the new membership fee for any of the military spouses who want to join NAWBO. Interested in serving as a Mentor to a military spouse? Learn more and apply here!